What disappointed you about Bloodsucking Fiends? I chose this recording for a car trip, after reading the book myself previously, in order to introduce my husband to what I consider the very best of Christopher Moore. 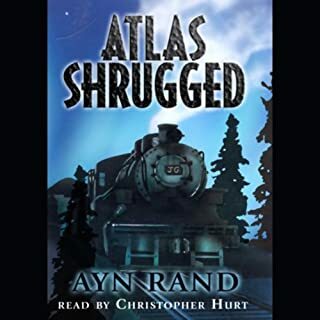 He has never favored audiobooks or modern fiction, but I really anticipated this being a guaranteed hit. It had all the right elements. It should have worked. It would have worked. Except for the narrator. After hours spent with both of us grimly trying to trudge through the story, my husband commented that, "She makes all the men (who are the majority of the characters) sound like drag queens!" Now, I love a good drag queen as much as the next person, but since the story revolves around a heterosexual relationship, it shatters the credibility completely. It also turns the main character into an upper class airhead, who would be perfect in a cozy, but is definitely not the "hard luck, I've-been-around-the-block" character the author intended for this story. This recording was so bad, it actually motivated me to cancel my membership. Audible coaxed me into staying three more months, but if I run into another such experience my relationship with Audible is definitely over. Now I'm stuck with having the first book in the series on audio, with zero chance of adding the other books, since we didn't even make it through the first one. I generally have something critical to say about any audio book - even if it's only that it isn't being read the way I, my own perfect self, would read it. 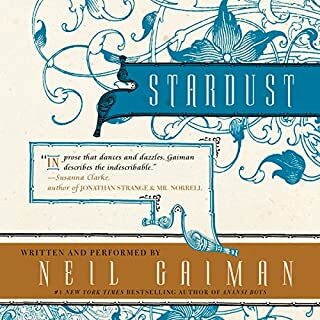 Stardust, however, doesn't have anything for me to be critical OF, except its designation as a children's book. There's a sexual encounter in there that is definitely NOT child appropriate. If I had bought the book for a child, I'd be very angry, but I bought the book for myself, so that didn't cause me any problems, just some surprise - although parents should be forewarned. Leaving that aside, however, the experience with this book was the smoothest I've ever had with an audio book. Neil writes beautifully, and the reading just blends so well with his writing that it's seamless. I wasn't once aware of a voice not fitting the character, or oddly constructed, or any of the usual issues I encounter - not even that I would've read it differently. This is a perfectly executed audio fairy tale FOR ADULTS. This is a good story, backed up by a good reader. I liked it better than Going Postal (the first Moist book), even though the reader and several characters are the same. I felt that the reader did better with the voices and characterization this time around. Mind you, it's not being read the way I, myself, read it. I love to read out loud, and often my own interpretation/voices get in the way of simply enjoying what I'm hearing - but in spite of that forgivable flaw it's definitely well worth a listen. Or six. I have both the Hurt and Brick versions. I love the story THAT much. In the Hurt version, the sound quality stinks. Really stinks. But he has a good understanding of the characters and does well portraying them. In the Brick version, the sound quality is a hundred times better than in the Hurt version. BUT - I don't think he is good with the way he uses his voice to portray the characters. He seems to have a "man" voice and a "woman" voice, but there are often several men talking and he makes them all sound alike. It's even worse with the women - he makes Dagne sound all breathy, kind of like Marilyn Monroe. Anyone who has ever encountered a female executive KNOWS there is no way on earth they talk like that! Certainly Dagne wouldn't. I don't think the "mellow" tone he gives her fits at all. She's a woman of action, of vitality and strong opinions, not to mention very decisive - not some upper crust society wife with no life and nothing to do all day but be pampered. What I don't get is why a MAN is reading the book at all. Yes, it's a book about business and industry - but it was written by a woman and the main character is a woman. Therefore, many of the interactions are being filtered through a woman's eyes. I just don't get it. Surely, there must be some decisive woman out there capable of reading this book. Try Hillary Clinton, Barbara Walters, some powerful, strong woman who isn't afraid of giving orders to men older than she is. Just don't give us Marilyn Monroe. 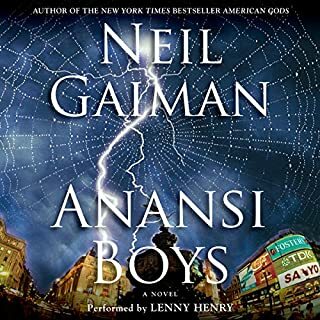 This story branches from American Gods, covering the story of Anansi's son. 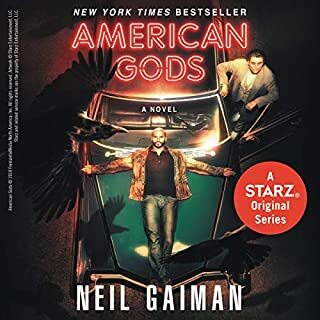 It has a different feel from American Gods, and I didn't like it quite as well - but it's still definitely worth giving a listen to. The narration is done very well, with accents that I never dreamed of when reading the book on paper, and it adds a lot to the story. No negatives here - I wholeheartedly recommend this one! The story is superb - a fascinating blend of reality and myth. 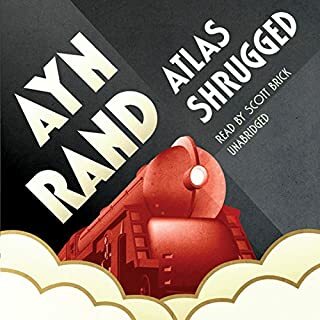 One of the best books the author has ever created, imho. It is extremely well-paired with the narrator, who brings out accents that I never thought of when I read it on paper. I liked this story enough to buy copies in audio, paper and ebook. It's definitely a library fundamental. The story is great, all about the witches, so if you're fans of Granny, Nanny or Magrat you're in for a treat. 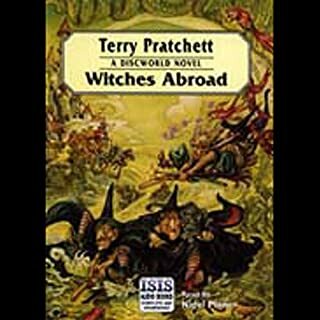 Narration was passable, although since this book is peopled by women, I think a female narrator would be a better choice. The gentleman doing the narration isn't bad...he just seems to lack an understanding of how women relate to each other - which influences how he reads passages when the witches are interacting with each other. Even so, it's a great story and tons of fun! The book is wonderful - it's now my favorite book of all time, and I'm sorry I had to be 41 before I found it. The reader is very good too, changing his voices to give each character a unique sound is a challenge in such a long, diversely populated book. The audio quality, however, is truly lousy. There is a distracting echo and in some places it makes an abrupt sound like a tape skipping fast-forwarding, and you lose a word or two. 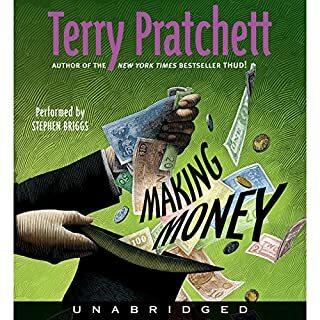 This was the third Audible book I purchased, and I must admit, I'm now afraid to buy more. Audible did offer to let me download a different copy with another reader when I complained...but the fact that they clearly know this problem exists and yet they continue to sell the book makes me distrustful of a company I had formerly loved.